My wait after all these years has come to an end. 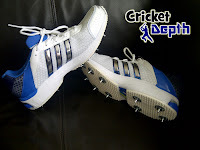 My cricket had been largely affected by wearing common branded cricket spikes. I found them unbelievably heavy and uncomfortable. Now there is an alternative. 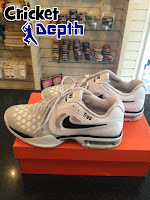 The Shoe Doctor, Stephen Hough, located in Somerset, provides an excellent service spiking the soles of trainers. Stephen started a business cobbling any ordinary pairs of shoes. He has been doing this work for 23 years. Stephen is new to the spiking business. 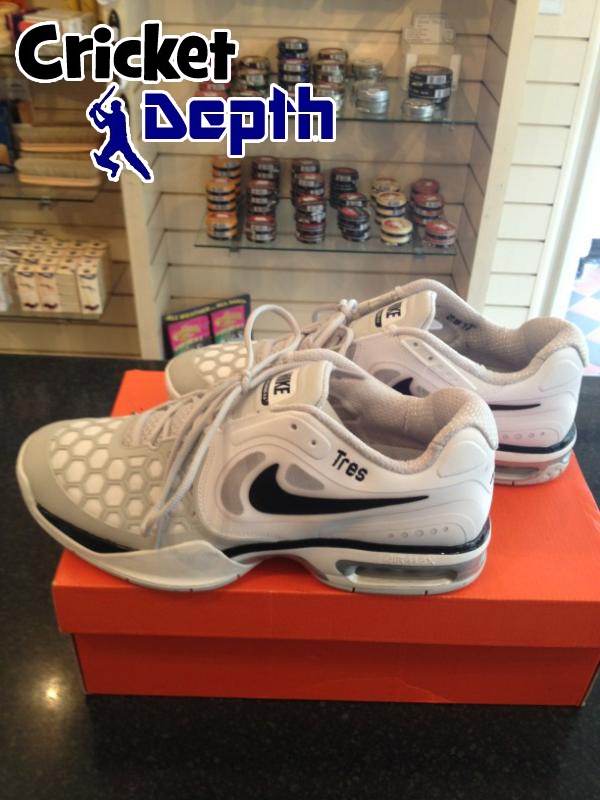 Stephen told me that Marcus Trescothick once approached him asking if Stephen could spike his trainers. Since then, he has been doing this regularly. The Shoe Doctor has successfully provided the Somerset squad with this service. He has also spiked up trainers for some of the most prominent South African players like Dale Steyn, Morne Morkel and as well as others. The shoes Stephen Kindly spiked for me. The weather was ideal when I tested out the spikes - It was raining! I found it extremely easy to run in the shoes despite it being truly horrendous conditions to field in. I think these spikes are perfect for fielding, especially when sweeping out on the boundaries, as you need to be quick on your feet and you can run faster than you usually do in cricket spikes. Also, you can follow The Shoe Doctor on Twitter (@TheShoeDoctor1). When they reach 1000 followers, they promise to give away a free pair of customised trainers that were designed for Marcus Trescothick.